Pure Patchouli Essential Oil (ready to use) mixed in our Massage Base oil. Can be applied directly for light massage or used as fragrance. 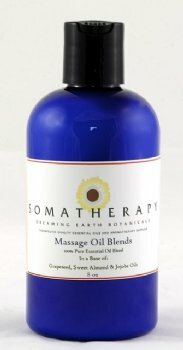 Our Massage Base oil is a combination of Sweet Almond, Grapeseed and Jojoba oils.